Segovia Cathedral, located in Segovia's Plaza Mayor is dedicated to the Virgin Mary. A late Gothic masterpiece started in 1525 by Juan Gil de Hontañón, it is breathtakingly beautiful. Segovia is an unmissable setting for this beautiful centrepiece. We have been checking out your blog and we must say that we are very impressed. It's really great. 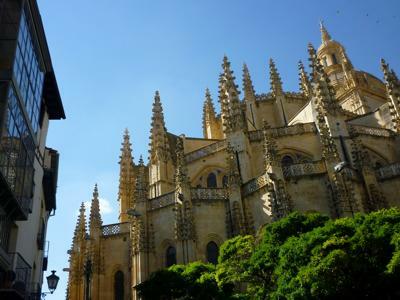 We have particularly been following your posts about Segovia as we visited there too. We have even written a guide, which you can check out here: http://hitchhikershandbook.com/country-guides/spain-2/segovia/. We would love your feedback and any tips, information, advice that you might have would be warmly appreciated.